The arc of history is long, yet it always manages to bend itself towards the just. This does not mean that every historical figure is remembered that way of course. Most people are forgotten to the dustbins of time. Others are remembered either positively or negatively depending on what they did while alive. Others still, the most misbegotten, have their legacies only remembered as a distorted image of them, their true lives warped enough so only a caricature remains. 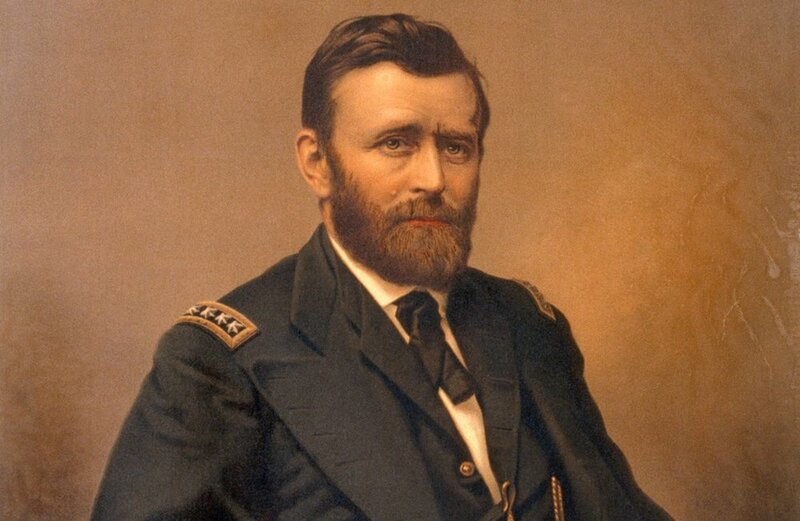 Ulysses S. Grant, 18th President of the United States and Commanding General of the Union Army, is one such man. I’ve recently finished reading “Grant” by Ron Chernow and it is one of those rare biographies that is completely illuminating. The kind that subverts or shatters the public idea of a person. Ronald Chernow is the Pulitzer winning author of a number of biographies including Alexander Hamilton, George Washington, and John D. Rockefeller Senior. Chernow continues the modern trend of not exactly lionizing President Grant, but giving him his dues. His dues in this regard involve shaking off the narrative espoused by Jim Crow era historians and those pushing the “Lost Cause” view of the Civil War. That view, the one that painted Grant as a drunk and callous military commander who marched thousands of his troops to the slaughter, is in dire need of refocusing. It is strange to consider how divisive this one man is. There is almost nothing about him or his life that can go unchallenged. I will go as far as to say that out of all the “historical” presidents, he is the most divisive. Chernow decides to look at the record of what Grant accomplished in office, as well as his own correspondence, and the correspondence of those around him. Notably, Chernow manages to re-contextualize Grants’ opposition to racism and antisemitism, as well as his alcoholism and political corruption. All things that were stains on Grant in the public conscious for decades. The alcoholism is what is always seems to come back to. We all know the stories or at least the perception. Grant sitting in his tent drinking bottle and bottle of whiskey to drown out the screams and moans of the dying men below him. Grant, glassy-eyed and distant ordering his men to rush an entrenched confederate unit. Grant, deep in debt due to his drinking and subsequent financial mismanagement, that he had to write and sell his own memories so his family would not starve. Chernow doesn’t exactly disprove these stories, rather he gives more context. Grant was fired from his first military position due to excessive drinking, but Chernow has enough compelling evidence suggesting that it was Grant’s way of unwinding after a battle and that he had it under control. This sort of story is all throughout the book. All those ideas about Grant are true… to a certain point. Chernow manages to find new supporting evidence that, if not dispels it, at least manages to paint those ideas in shades of grey. Isn’t that what all these historical biographies are about? None of us were there, we only have what was left behind. Grant left an autobiography but he was modest and left a lot of details out. That vacuum was filled by his political opponents who went on to define his life. The strangest part of his book is how timely it seemed to be. For those who are curious, the parallels could be drawn between Grant’s post Civil War presidency and what is going on in America today. Grant dealt with the removal of statues, the spread of “Fake News”, and how the President surrounded himself with friends rather than those most knowledgeable. Grant even preferred loyalty above any other qualifications. Now am I, or by extension Chernow, comparing Grant to Donald Trump? Not by a long shot, but the similarities are there, and reading it today it can feel oddly prescient. I’ve read all 1074 pages of Ron Chernow’s book and I am still left with the most basic question: Who was Ulysses S. Grant? Was he an alcoholic? Maybe, but he might have been a high functioning one. Was he a merciless military commander, sending his troops to be slaughtered without a second thought? Perhaps, but he won the war and was called inspired by friend and foe alike. Did he run a presidential administration rife with financial scandals and corruption? Yes, but he was also a staunch defender of African Americans and fought fiercely for their rights. This is why people like Ron Chernow and his books matter. They are meticulously researched and extensively written. They look at, examine, and break down every single part of a prominent person’s life. Who they were in public, who they were in private, and how they were perceived by the world at large. All of those things may be different, and all lead to a fractured understanding. The more complex a person, the more fractured the understanding. Chernow has managed to show us a man in all his flaws and virtues. History is set in stone, in as much as we cannot change the past. We can however change how the past is remembered and perceived. It's the only way how Grant can go from a corrupt drunk to a modest champion of civil rights.